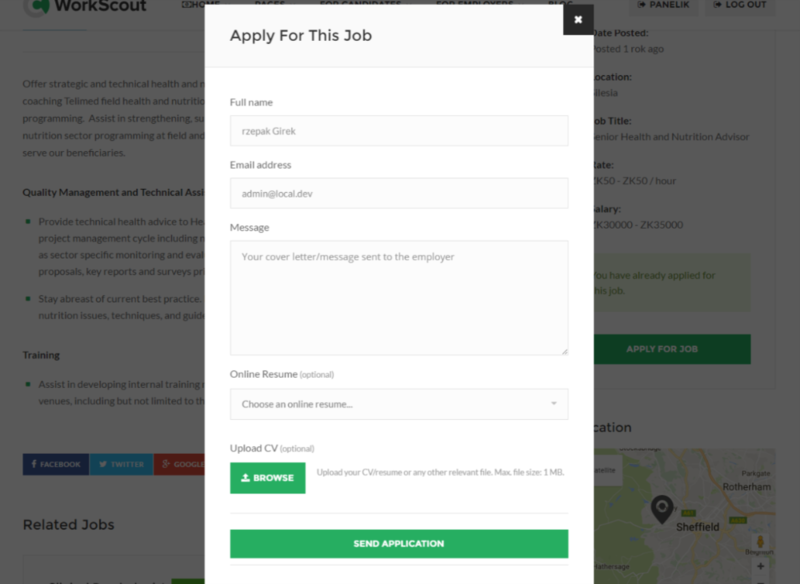 Using WorkScout and WP Job Manager, candidates have option to apply for jobs. 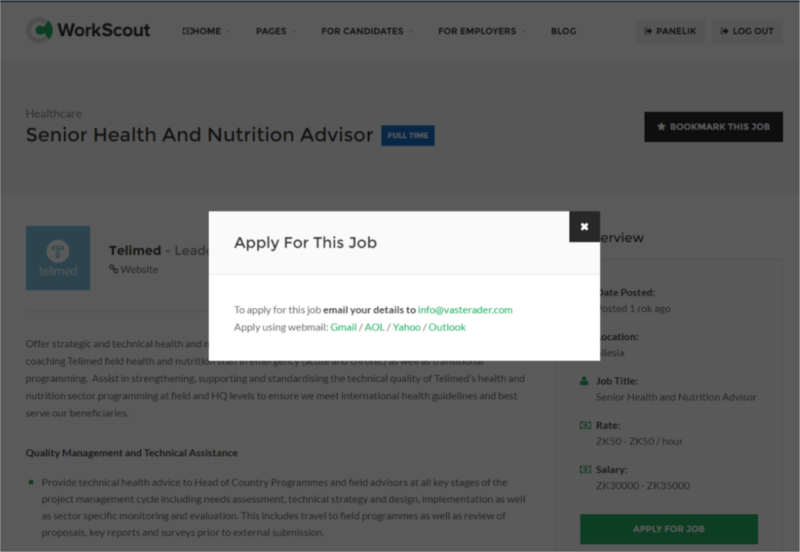 There are 3 kinds of "Apply for Job" popup. 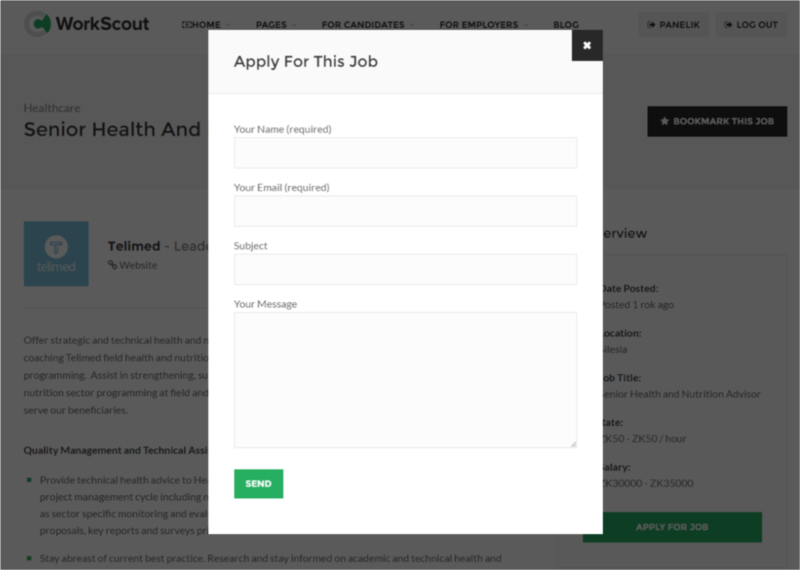 Using Resume Manager add-on from WP Job Manager, Candidates can send the Resume they've submitted as an attachment to the Employers email.